Royal Bay is coming along great! Interior colours are being painted and the turf field construction is underway. 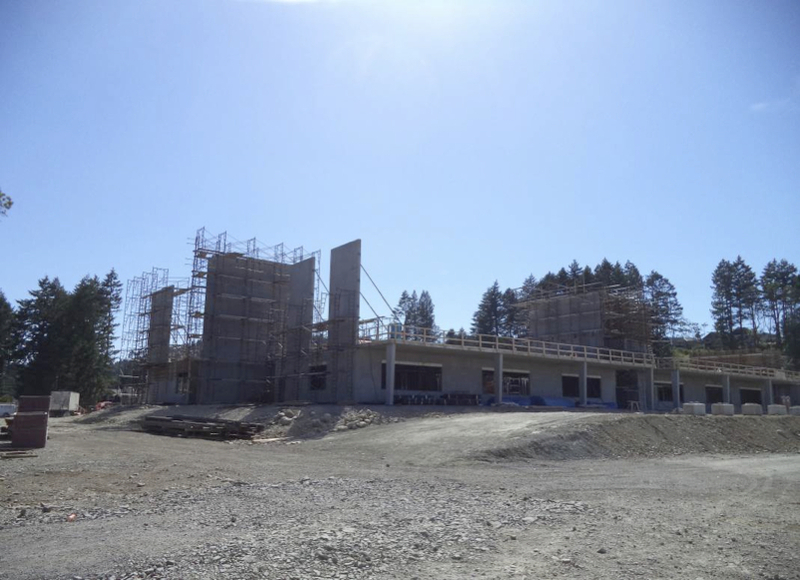 As such a complex build, the new Belmont school is looking great! On Saturday, May 9, upwards of 5,000 people from the community turned up to say farewell to the Belmont building. The place was literally buzzing with people reconnecting and laughing. The 50’s and 60’s rooms were packed with alumni and the gym filled with people checking out Belmont’s Sports Hall of Fame. It was a great day for the school community and a fantastic beginning for the new building. Say farewell to the old Belmont Secondary School building! Alumni, students and the entire community is invited to an all-day open house on Saturday May 9th from 9 a.m. – 7 p.m. to say one last goodbye to the old building. Saturday, May 9 from 9 a.m. to 7 p.m. The day kicks off with a pancake breakfast in the morning and ends with a ceremonial torch passing in the evening. During the day, “decade rooms” will be open for former students to re-unite, a time capsule will be unearthed and other activities will be available as everyone has one final chance to walk through the old building and reminisce. 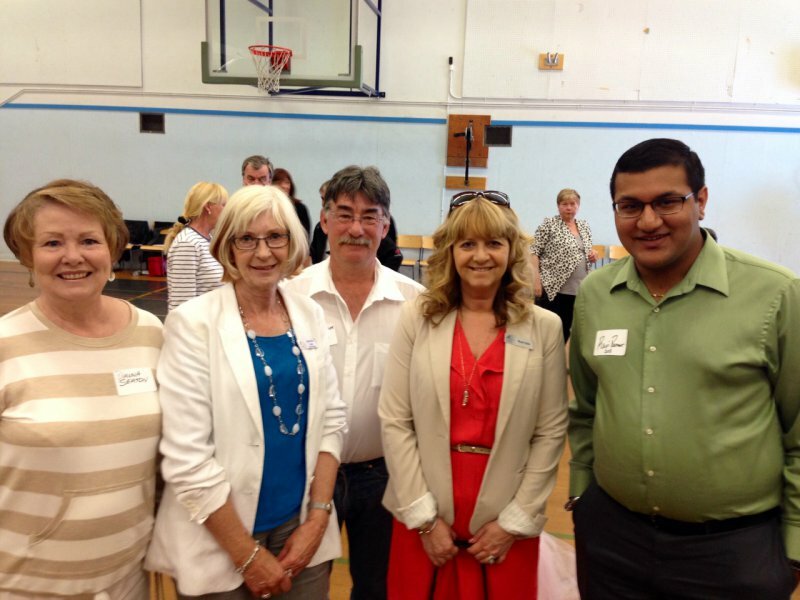 The City of Colwood has written an article featuring Royal Bay Secondary. 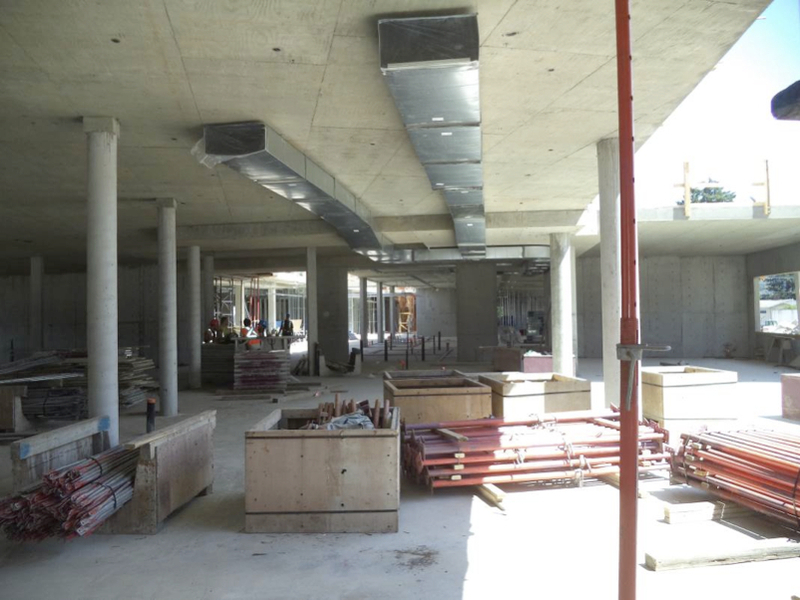 Read more to discover what makes Royal Bay Secondary School a unique project. Left to Right: SD62 New Schools Project Director Dave Lockyer, Colwood Communications Manager Sandra Russell, Royal Bay Site Superintendent Rick Wenzoski, Royal Bay Secondary Principal Wendy Beadall and Sooke Board Chair Wendy Hobbs tour the new school. Left to Right: City of Colwood Communications Manager Sandra Russell, Royal Bay Secondary Principal Windy Beadall, and Sooke Board Chair Wendy Hobbs stand beside the rooftop basketball court. 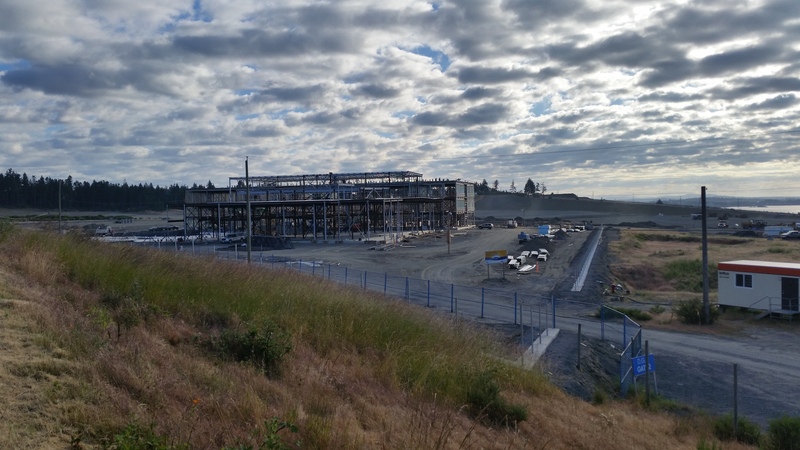 It has been one year since ground first broke on the new high schools in SD62 and construction at Royal Bay and Belmont Secondary continues to be on time and on budget. 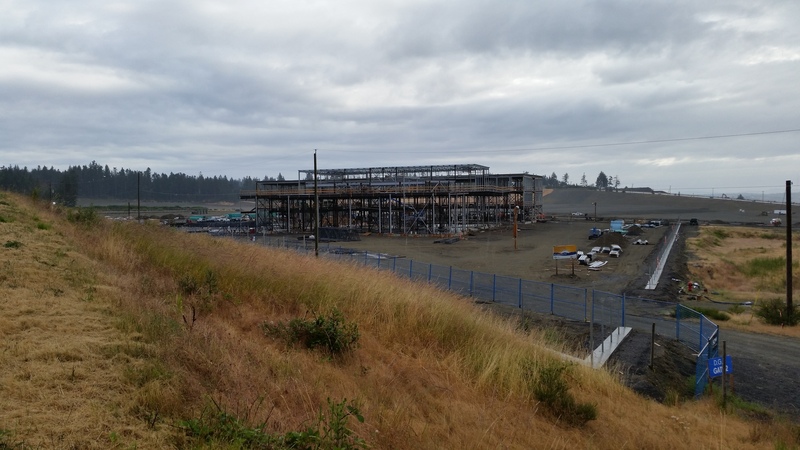 The new high schools are halfway through the two-year build process. 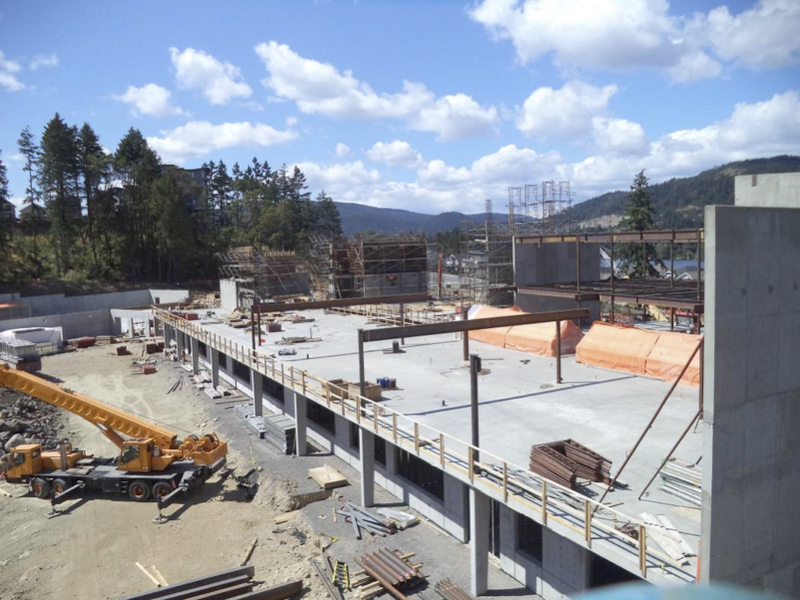 Belmont Secondary, situated between Glen and Langford Lake is 80% structurally complete. 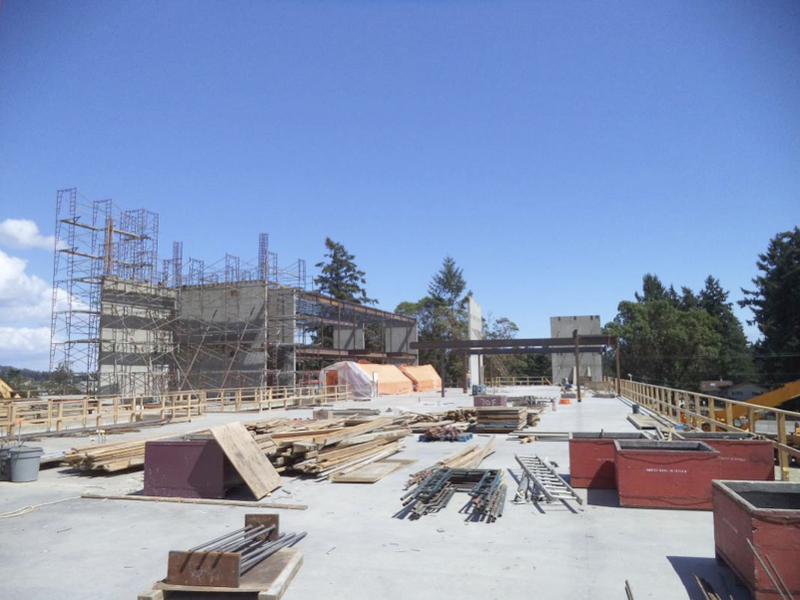 By October, the roof is expected to be finished and by November Belmont will be mostly locked down with windows and doors installed. Finishing work on the school will begin in the new year. 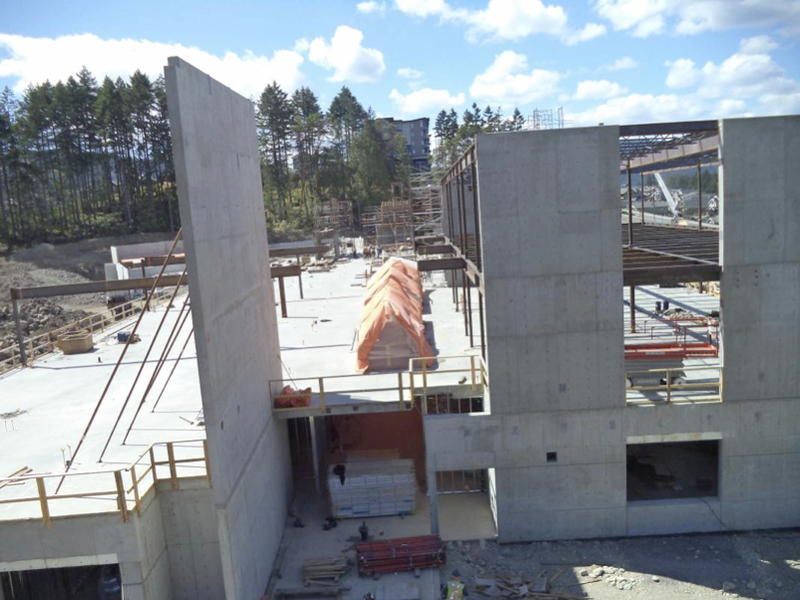 Belmont is built for 1,200 students and features one large gymnasium that can be split into two full-sized playing courts, a neighbourhood learning centre for day care and post-secondary classrooms, seven science labs and one multipurpose lab, and a theatre with seating for 300 people. Belmont is built to LEED Gold certification. 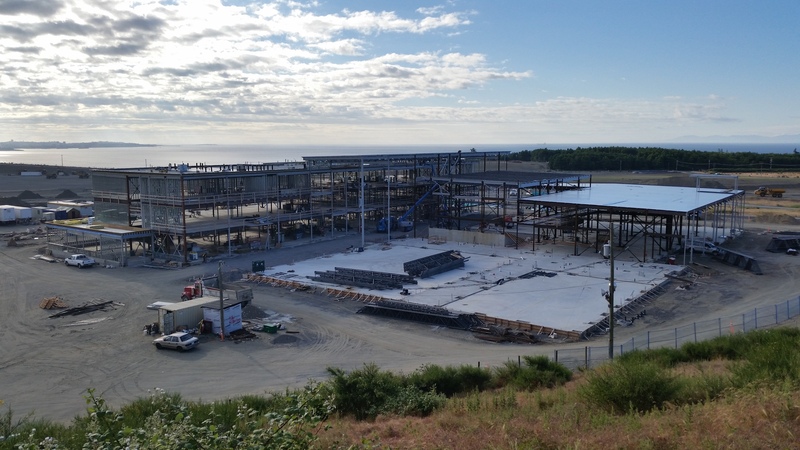 Yellowridge Construction Ltd. was awarded the contract for the $53.9 million dollar school in June 2013. 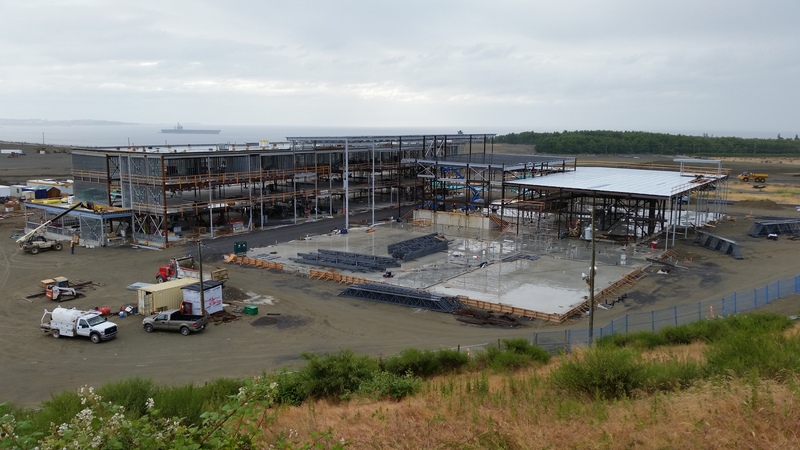 Royal Bay Secondary, with its views of the Pacific Ocean is 98% structurally complete. 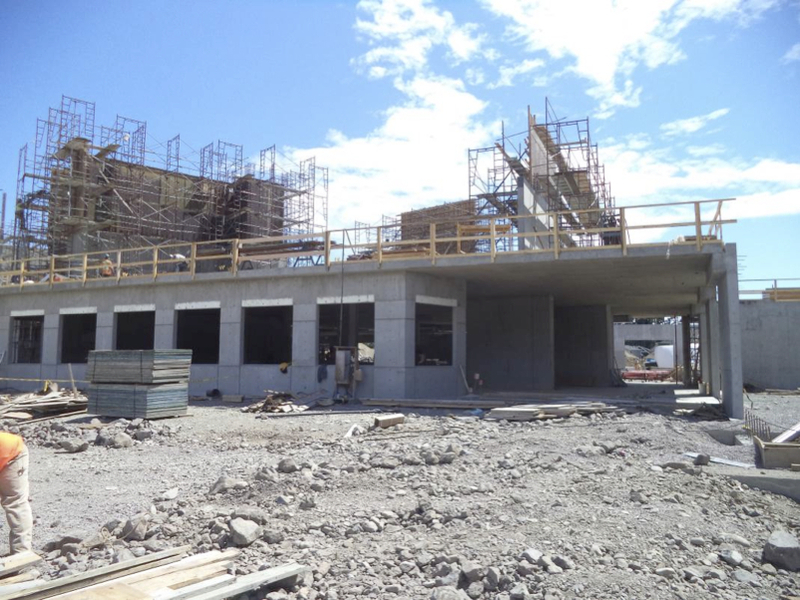 The new high school will be 75% sealed within the next week, and the walls are 60% framed. 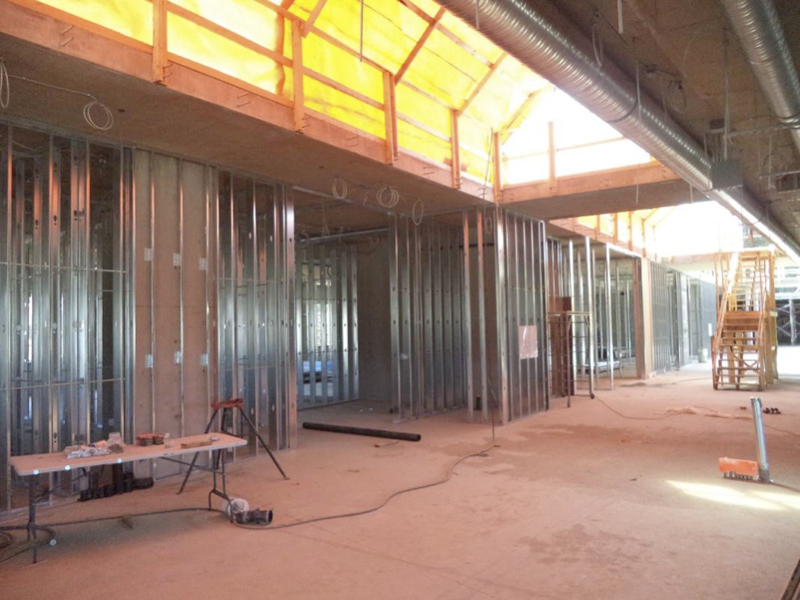 Finishing work will begin the end of September, which includes dry wall, flooring, cabinets, and light fixtures and will continue over the next year. The asphalt rubber track will have its asphalt poured within the next month. 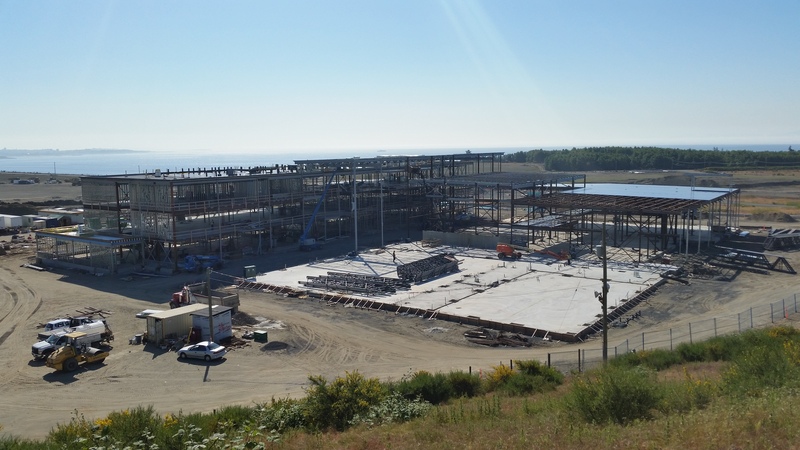 Royal Bay features a teaching kitchen, theatre seated for 350 people, rooftop basketball court, asphalt rubber track, and neighbourhood learning centres. D.G.S. 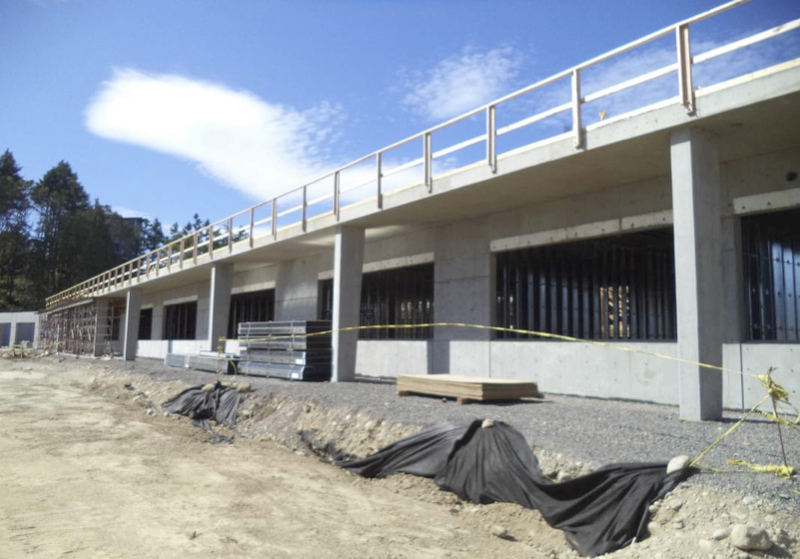 Construction was awarded the contract for the $40.8 million dollar school in June 2013. Trades Awareness Skills and Knowledge students, left, Jeff Smith, middle, Will Clearwater, and right, Brennan McEwan, are working on the construction of the Royal Bay Secondary School in Colwood. Trades training is a critical component of the high school experience. 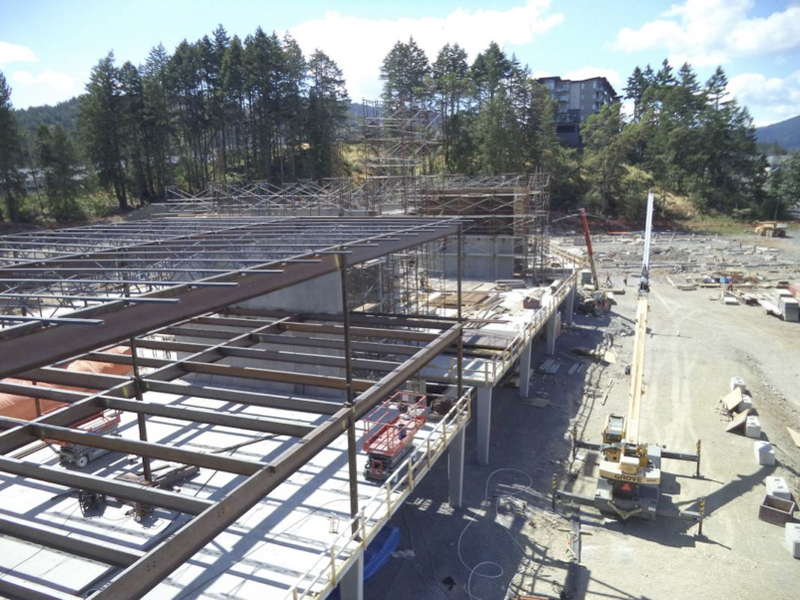 The Sooke School district has put a lot of energy and resources into making the trades programs some of the most efficient and forward thinking programs in the province. T.A.S.K – Trades Awareness Skills and Knowledge – is an educational partnership between SD62 and Camosun College. The program allows students to explore a variety of trades including: Form Work, Framing, Floor Construction, Roof Construction, Plumbing, Sheet Metal and Electrical. The credits go towards high school graduation and can also be transferred to a trades training certificate. Recent graduates and students of the T.A.S.K. 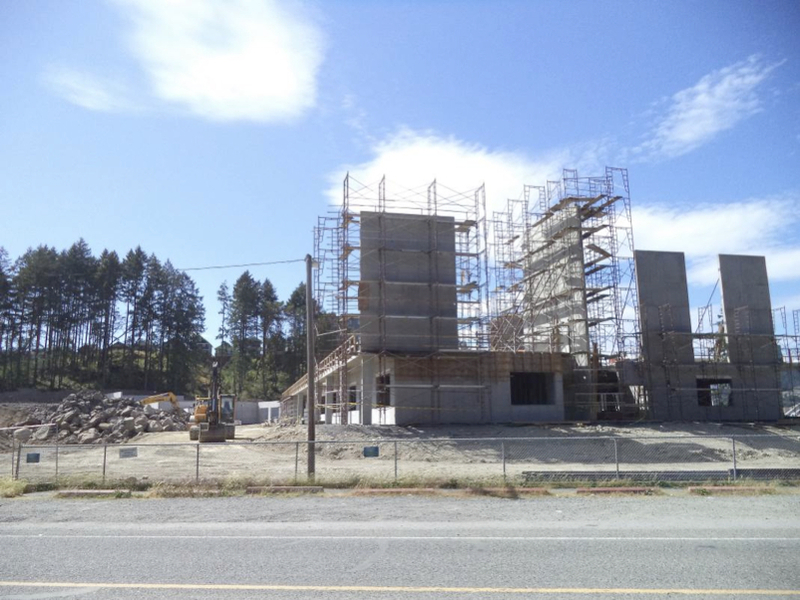 and Belmont Residential Construction programs are working on the sites of the new Royal Bay and Belmont secondary schools. Seven students in total are busy learning new skills and sharpening old ones at the Royal Bay site. 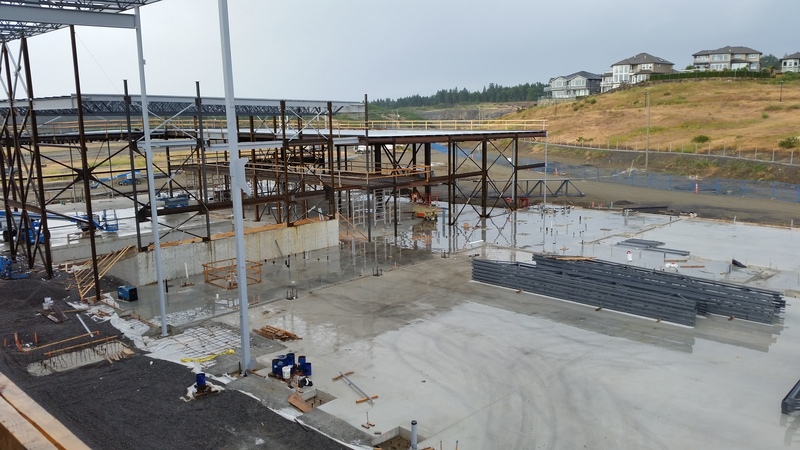 Students are working for Pitt Meadows Plumbing, Glenco Electric, DGS Construction, and Imperial Welding. 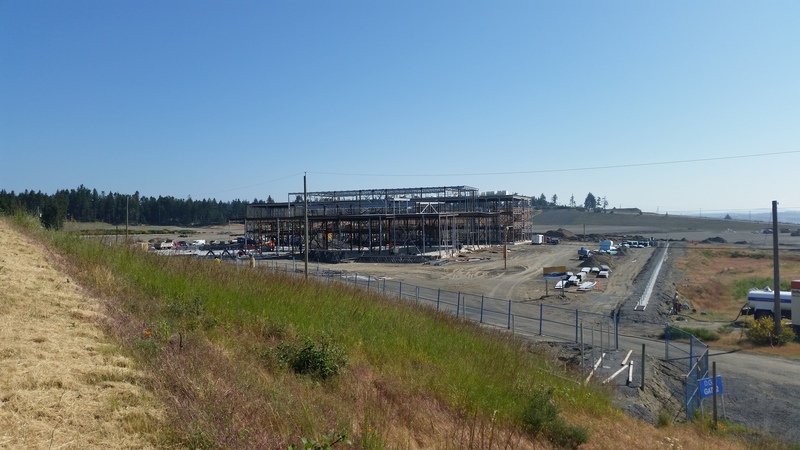 There are two students working with Yellowridge Construction at the new Belmont site. Royal Bay is looking to model the trade success Belmont has had by creating shop space and possibly trade academies. Royal Bay has a unique opportunity being located in a new housing development that has yet to be built. The school is currently working on creating partnerships with the developer, which would eventually see students working in apprenticeships with the builders. All students in the program receive their OFA Level 1, Fall Protection, CSTS, and Hilti certifications while in the program.